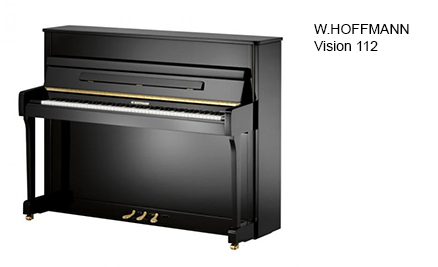 This European built piano is one of the finest of its size with particularly rich bass and singing treble. This instrument is perfect for a discerning player with limited space. Suitability : Beginner to Advanced level. 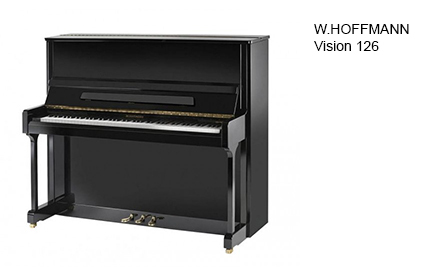 This piano houses all the qualities of the V112 but with a larger soundboard and string length for an even greater rounded and more nuanced tone. 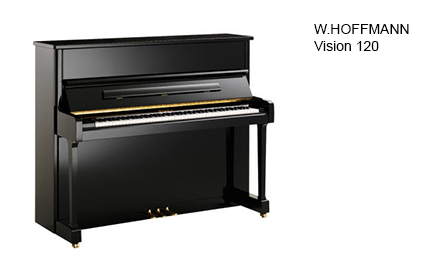 Like it's two V series brothers, but with additional agraffes for crystal clear tone and longer keys for an even more precise touch. 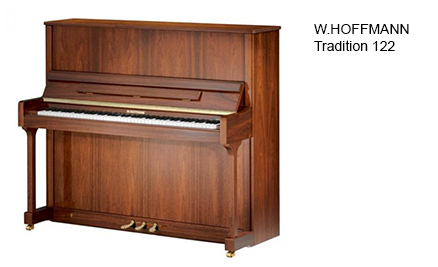 This handcrafted upright has been chosen by many leading London institutions as the definitive professional practice piano.